Zaida González arrives at Estación Mapocho Cultural Center with “The Last Judgement”, artwork in photography that seeks to make visible the groups that are usually marginalized by society. “It took me three years to execute the project. I realized that it was very deep, that it was not simple to transgress the tarot cards. There is a world behind that, shapes and how this elements of the card are arranged to form a particular meaning,” Zaida explains. 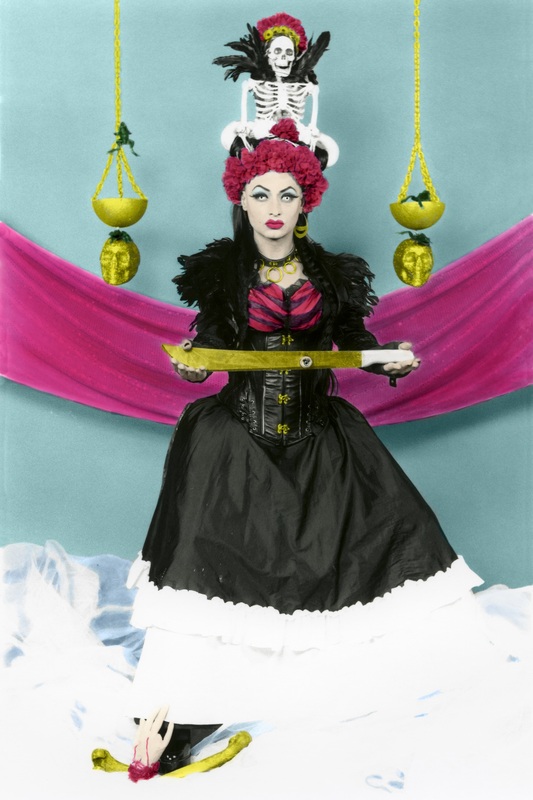 As the artist present, in “The Last Judgement”, exhibition in photography inspired by the 22 major arcana of tarot, using as models representatives of excluded groups or groups that escape the preconceived parameters of “normality”. In this way, pose in front of the artist’s lens, transgenders, immigrants, elderly people, a young man with Down Syndrome and others who, personally, are reflected in the assigned letter. The aim is to break down prejudices and foster a spirit of diversity through a transversal and popular support. “Not all things are as absolute as they want us to believe. There is no such thing as good and evil, but rather we have a range of diversity in all aspects of life. 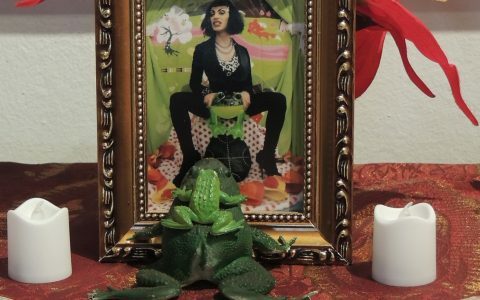 So I think the tarot worked well to represent them”, says Zaida González. The exhibition consists of 22 photographs in a 60 x 90 format, captured in black and white and hand-colored. Technique that gives a unique signature, recognized in various corners of the world. The Final Judgement will be presented from March 28 to May 13 in the Lily Garafulic room of the Estación Mapocho Cultural Center. Tuesday to Sunday from 11.00 to 20.00 hours. The entrance, as usual, is free of charge. Photographer and Veterinarian. Lives and works in Santiago de Chile, She works as a teacher and to authorial work. She has exhibited in Chile since 1999 in various collective and individual exhibitions. Internationally her work has been presented in Colombia, Argentina, USA, Belgium, Peru, Spain, Uruguay, Venezuela, Barcelona, France, Portugal, Lithuania and Mexico. To date, she had authored 4 books: “Las Novias de Antonio” (The Girlfriend of Antonio) (2009), published by La Visita, “Recuérdame al morir con mi último latido” (Remember me when I die with my last heartbeat)(Fondart 2010), “Zaida González De Guarda” (Fondart 2011) and “Ni Lágrimas Ni Culpa” (Neither tears nor Guilt) (Fondart 2015) under the independent publisher El Gato de la Acequia (The Cat of the Canal) . 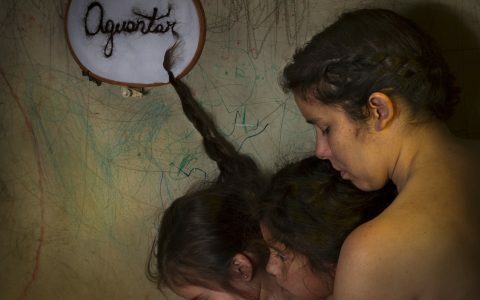 She has received six Fondart scholarships in the area of photography (2005, 2008, 2009, 2011 and 2015), Artistic photography residency in Valparaíso Nelson Garrido scholarship in 2010, DIRAC 2013 scholarship to do residency at the NGO (Nelson Garrido Organization) in Caracas, Venezuela. In 2014, through “ventanilla abierta” (an artist funding) by Fondart, she circulated and disseminated her work with exhibitions in Nîmes, Brussels and Paris. 2016 under a DIRAC call, she presents a collective exhibition and photographic coloring workshop at the Manuel Álvarez Bravo Museum in Oaxaca and Faces Cachèes, Chilean photography 1980-2015 at the Maison de L´Amérique Latine in Paris, France. Rodrigo Rojas De Negri Award 2012. Winner of the prize for best young artist at the IV International Contemporary Art Fair ARTVILNIUS 13 in Lithuania, for the presentation of the exhibition “Primera Comunión” (First Communion) at the Serpente Gallery in Portugal.